Boston Celtics guard Marcus Smart suffered an ankle injury last night during the team’s preseason finale against the New York Knicks. His injury occurred when he stepped on the foot of Knicks guard Justin Holiday late in the 2nd quarter. The Celtics went on to lose the game 121-96, but Boston is surely more worried about their rotational guard than the outcome of a preseason game. According to head coach Brad Stevens, early indications don’t suggest Smart should miss any significant time outside of about two weeks. Other reports have indicated he could miss several weeks, but if it is only a sprain it should not be too serious. Danny Ainge on @985TheSportsHub said team is still evaluating Marcus Smart and are not certain about his opening-night status. During his sophomore campaign in 2015-16, Smart averaged 9.1 points, 4.2 rebounds, 3.0 assists, and 1.5 steals per game. 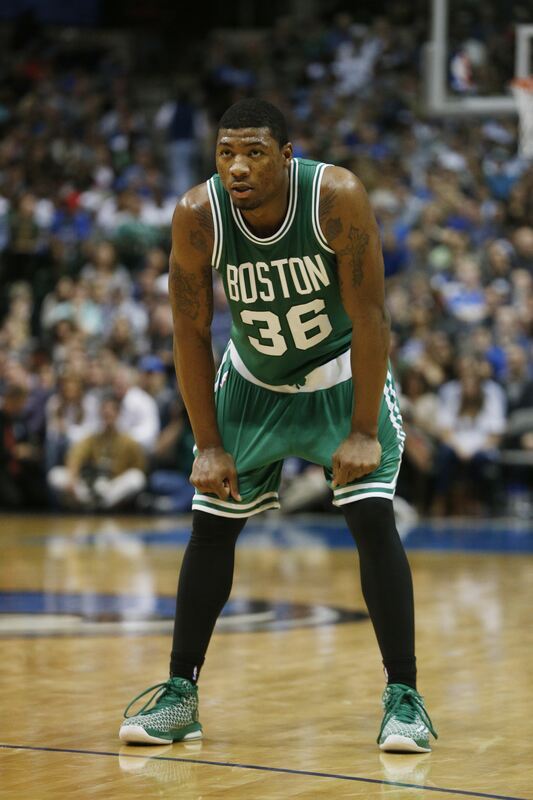 Unfortunately for both Smart and the Celtics, he was forced to miss 21 games due to a similar lower leg injury. Without Smart, Brad Stevens will turn to both Terry Rozier and Gerald Green as ball handlers in the second unit. Smart is an integral part of Boston’s 8-man rotation, and was expected to play a decent number of minutes off the bench this season. The Celtics certainly need to him get healthy as soon as possible.